Ever think about why the most popular acne treatments became so widely used? Many doctors prescribe broad-spectrum antibiotics like Septra, Minocycline, Tetracycline, Doxycycline, Erythromycin and Clindamycin to treat acne. The rationale being that the antibiotic will decrease the growth of bacteria in pores clogged with sebum. This process is designed to control and even decrease the symptoms of acne. And since effects are visible, it easily becomes a product of choice. The problem is that those results will not last (even the period of improvement is different for each person); and to keep the results going will require long term use of antibiotics that carry different types of short term and long term health concerns and adverse effects. Additionally, antibiotics really do not treat acne; they do not stop factors influencing the over-production of sebum. Instead, they only moderate inflammation that would not occur in the first place, without overstimulation of the sebaceous glands. So again, treating acne (meaning "getting rid of" for longer term) is a whole different matter. Why Do You Need to Be Concerned About Using Antibiotics for Acne? The liver metabolizes many antibiotics. Taking them for a longer time may actually affect the liver. Antibiotics increase skin sensitivity with exposure to UV rays (sun light), so they require a high level of protection against sun. Higher sensitivity to UV rays may increase the incidence of skin cancer. There is also a very vibrant discussion among the medical community about the general over use of antibiotics that leads to developing mutated strains of bacteria that do not respond to them, especially those methicillin-resistant bacteria (MERSA). 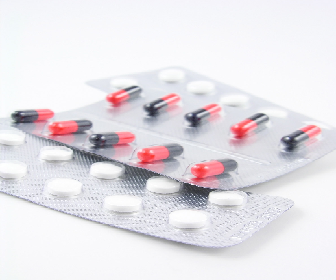 Antibiotics commonly used for acne are from the methicillin family. So far, the only FDA approved drug for preventing acne is Isotretinoin, which is Accutane (presently off the market for its severe adverse side effects, also a subject of a class action suite), and its generic forms that still maintain the same side effects. But as a generic form, they cannot be held legally responsible for these effects. 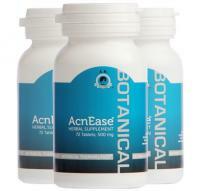 AcnEase® is the only herbal based natural medicine that actually focuses not only on the symptoms, but on PREVENTING new acne from coming, so it helps you to get rid of acne. AcnEase has an excellent safety profile as it is phytoestrogen, gluten, sugar and milk-derivatives FREE and does not affect the skin sun sensitivity, nor does it contain any chemicals. In summary, if you REALLY want to break the vicious cycle of acne, and not just zap your zits, you are smart to look for an all natural product with a great track record in efficacy and safety. Read more on how to do just that .